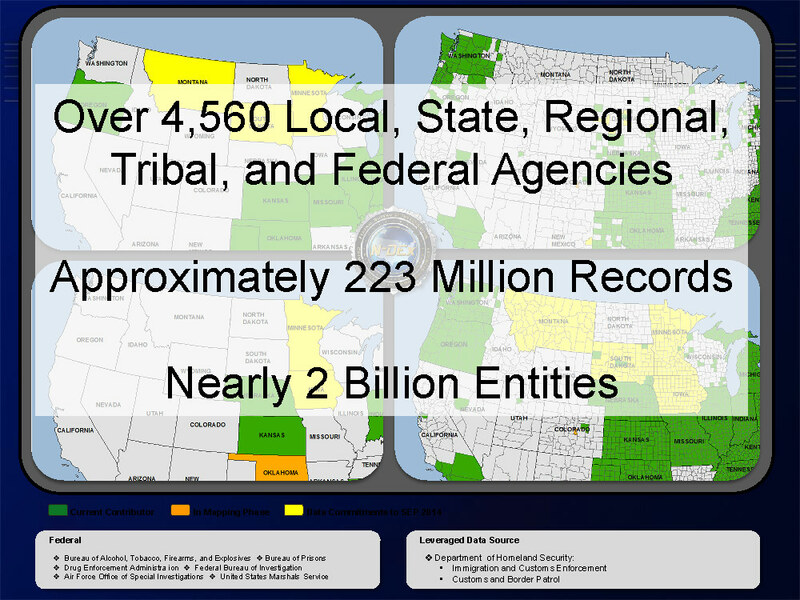 The Law Enforcement National Data Exchange (N-DEx) run by the FBI Criminal Justice Information Services (CJIS) Division now contains approximately 223 million records on nearly two billion entities. 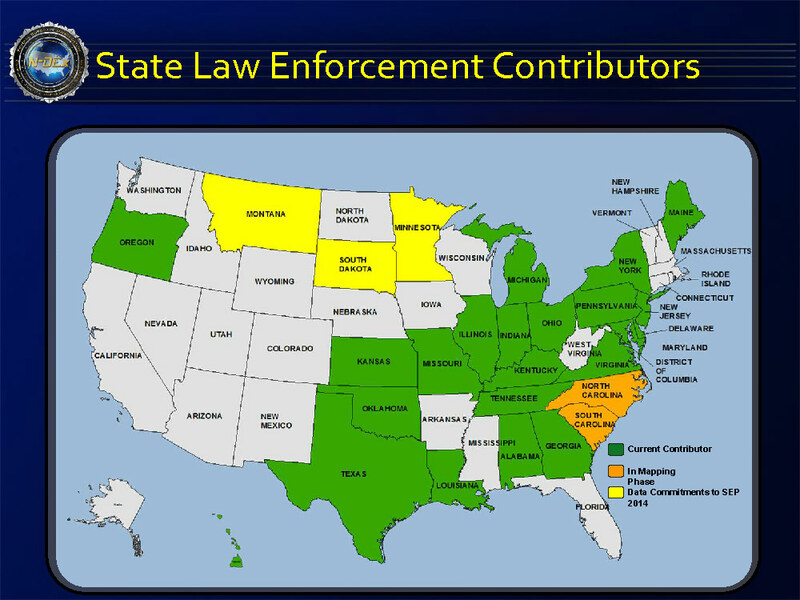 An FBI CJIS presentation from February 2014 posted on the website of the Integrated Justice Information Systems Institute includes detailed information on state and local data contributors including a tally of the total number of records contributed by state. 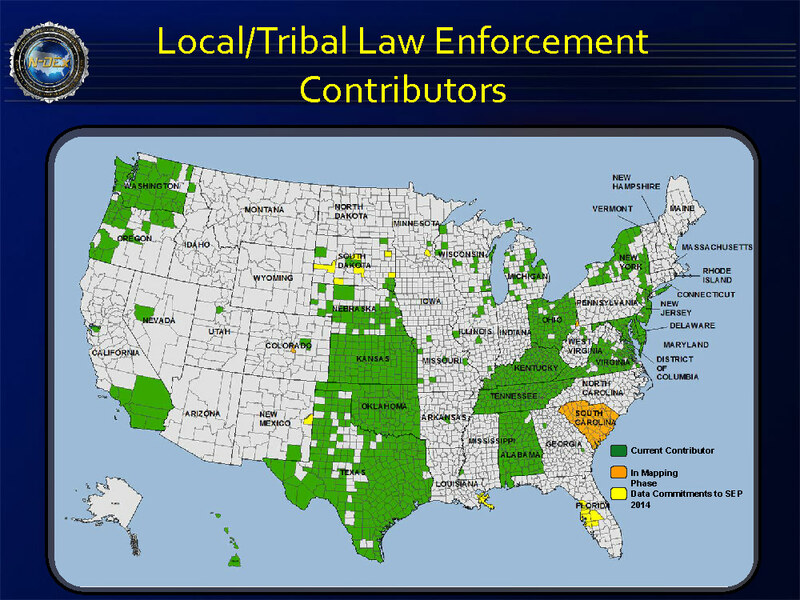 The FBI describes N-DEx as “a mechanism for sharing, searching, linking, and analyzing information across jurisdictional boundaries” including “incident and case reports, booking and incarceration data, and parole/probation information.” Sypherlink, contractor involved in implementing N-DEx data sharing around the country, describes the system as being able to detect “relationships between people, vehicle/property, location, and/or crime characteristics.” Slides from the February 2014 N-DEx presentation indicate that at least 34 states are contributing data to the system with Texas, Arkansas, California, Virginia and Tennessee each providing at least ten million records. Texas has contributed more than any other state, adding more than 68 million records to the system, nearly three times its nearest competitor. Federal agencies have added another 23 million records to the system. 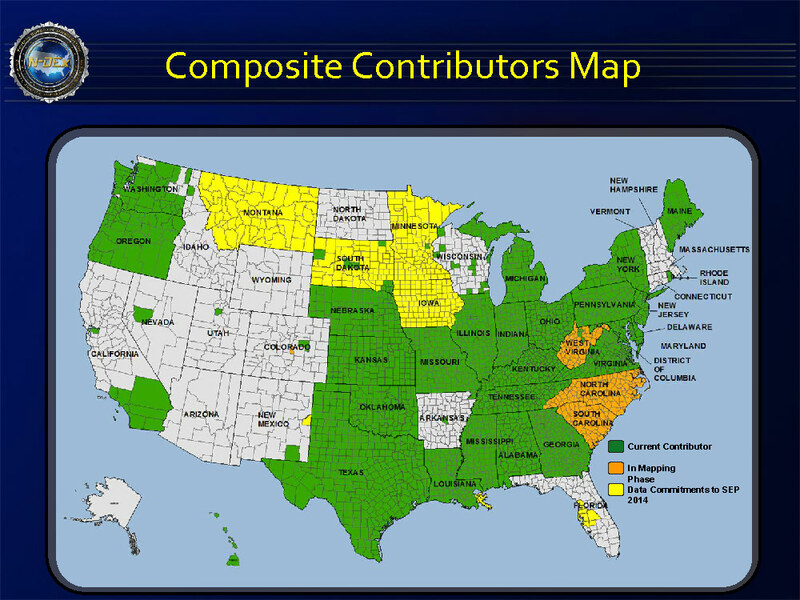 According to an updated listing of N-DEx data contributors listed in the presentation, federal and state contributions amount to more than 191 million records in total. However, other slides in the presentation brag that their are “approximately 223 million records” on “nearly 2 billion entities” stored in N-DEx. 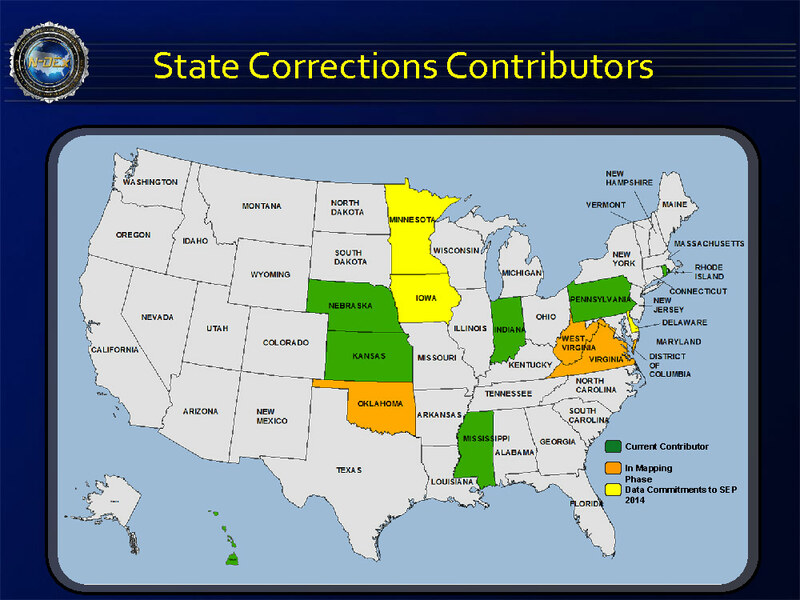 It is unclear where the more than 30 million records not contributed by states and federal agencies listed in the presentation are obtained from.